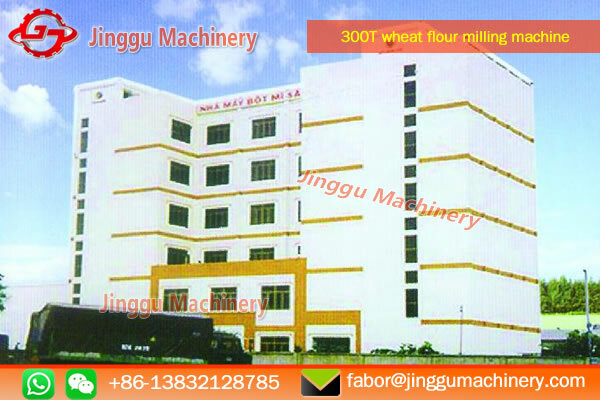 120T wheat flour milling machine could produce super flour, grade flour, special flour and standard flour, according to the customer’s requirement. 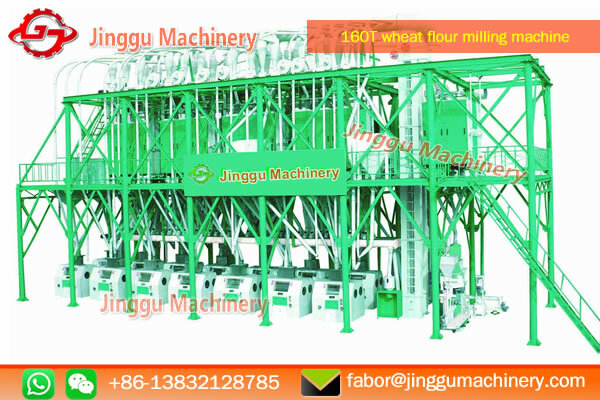 The flour quality from 120T wheat flour milling machine can compare with European product. 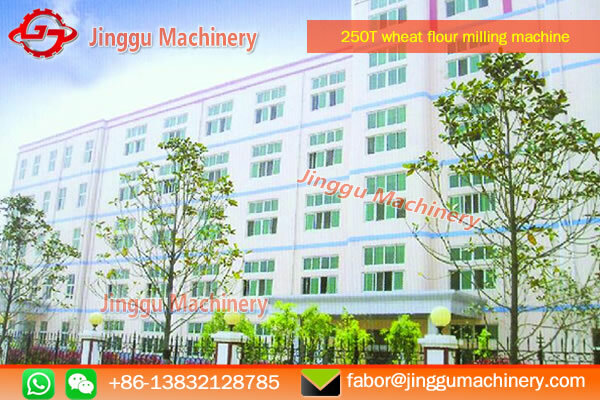 120T wheat flour milling machine could produce super flour, grade flour, special flour and standard flour, according to the customer’s requirement. 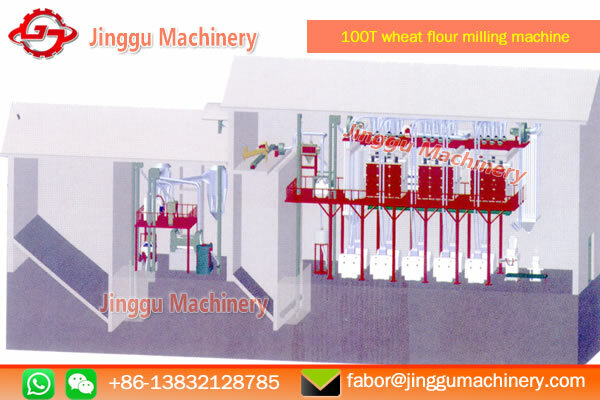 The flour quality can compare with European product. Floor space: 17m×18 m×12m (length * width * height). Three sieves, three beating, two removing stone, two tempering moisture and three magnetic selecting. 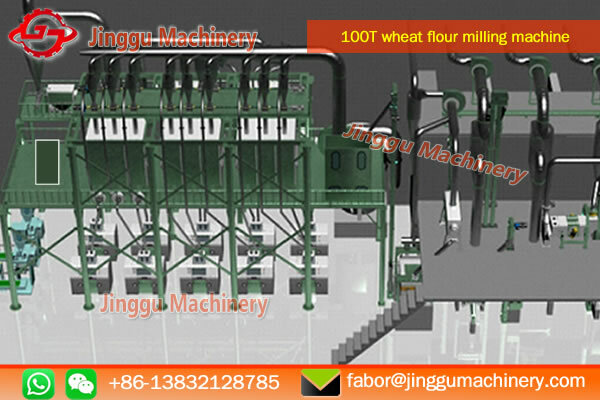 This producing line adopts second moisture wheat technology. This increases the toughness of coat and assures the complete of bran. 4B, 6M, 1S, 2T bounty in the middle, bran finish in the back, three purify. 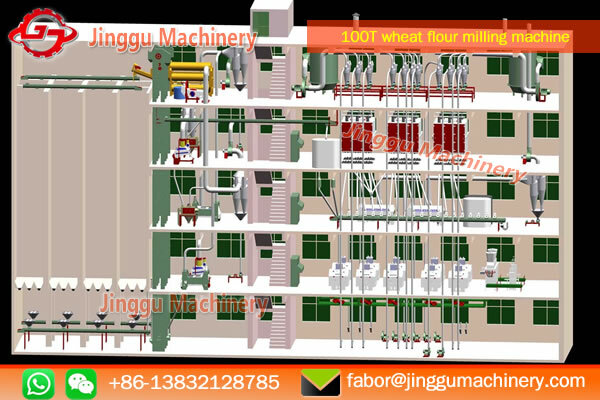 The characteristics of the technology are purifiers with wheat duster, assured more good quality wheat flow into the central mill. Assured flour rate and quality.